Because of the perfect weather and climate with temperatures around 30°C in the daytime and 23-25°C at night, the time from November to February is the most pleasant time to visit Phuket day tours. The weather is very hot from March to May. May to October is the shoulder period. Phuket shore excursions are the ideal tours for swimming, sailing, diving to explore the world of abundant marine life and sparkling coral reefs, water sports, and other activities… Besides, Phuket is also known for its Recreation Center. This place stages many dances and music accompanied by performing elephants and tigers, as well as the “Fantasea” show. 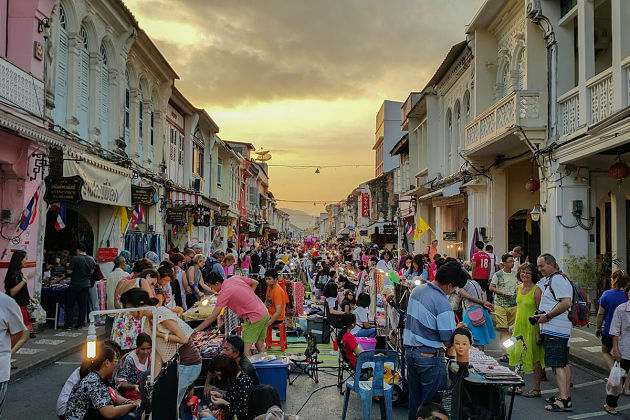 Moreover, the island also has many shopping centers selling traditional handicrafts, silk clothing, lacquerware, pearls, jewelry and antiques, all at reasonable prices. 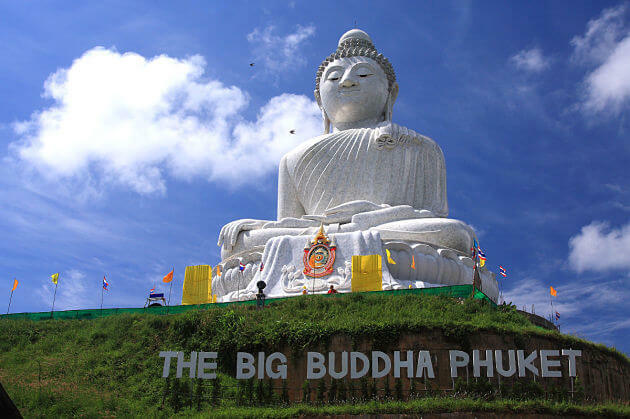 Do not miss any of the highlights of Phuket day tours with Asia Shore Excursions. Please contact us to get the best Phuket shore excursions. Experience Phuket’s sacred spaces, distinct Thai flavors and shopping culture on a full-day trip that includes stops at Wat Chalong temple, Big Buddha, and lunch in the jungle. 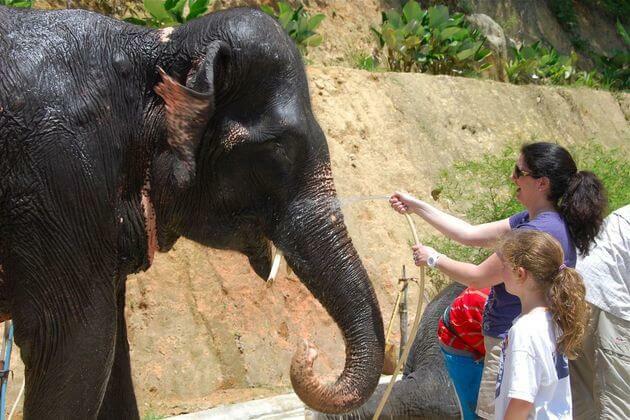 All of these experiences you can taste in the one and only Phuket shore excursion. Thank you for contacting us! Please check your email for detailed quotation of Phuket shore excursion. Kindly let us know if you have any other questions. we arrive on MSC Lirica at 10.30 am on Friday 15th April and will be tendered ashore . We depart at 18.30 . We are a party of 2 adults. Please allow time for the tendering process at the beginning and end of the tour.. We would need to be met at the tender docking area . Thank you for reaching to us. Please check your email for detailed quotation on this Phuket shore trip. Feel free to ask us any question you may have. We will be arriving aboard the cruise ship Constellation on April 4/17 and drop anchor at 7am and then depart at 5pm which means we will have from approx 8:15am – 3:30pm to enjoy Phuket. This tour sounds interesting… I can get a group of 12 – 16 people together to make a private tour. What would the cost be? The price per pax is cheaper if there are more people joining the tour. Please check your email for detailed quotation of this Phuket shore trip. Kindly let me know if you have any other questions. We are a party 0f 3 – My wife, my granddaughter of 8 years old and myself and we will be arriving in Phuket by the Costa Neo Romantica Cruise ship on Friday 31st March 2017. The ship will be in Phuket from 8:00 to 18:00. Please advise price for your “Phuket Sightseeing Tour” – 1 Day for the three of us. Please note that we will expect to be met at the tender pier and taken back there at the end of the tour. We will not mind joining any other group. We will be gratefyl if you could let me know if you can arrange a half day tour for my party with the following itinerary:1. Karon View Point, 2.Promthep Cape 3.Wat Chalong Temple 4.Cashew Nut factory and last Phuket Big Buddha. Thank you for your request on Phuket shore excursions. You can have a look at our available tours on the website, or tailor-make your own tour. Please check your email for more details and let me know if you need any other information. We are a party of 2 and are also sailing on the Constellation, arriving in Phuket April 4 at 7: am and departing at 5 pm . We are interested in your tour and would be happy to join others. Please let us know what the cost would be and what you can do for us. Thanks for your request on Phuket shore excursion, we have dropped you the detailed quotation, please check your email. We are arriving on the Oceania Nautica on April 16, 2018. We will be docked from 8:00 to 6:00 p.m. What is the cost of TSPO5 for two people, four people and six people. Thank you for reaching to us. The price per pax is cheaper if there are more people joining the tour. Please check your email for detailed quotation on this Phuket shore trip. Kindly let me know if you need more information. Thank you for your request. You can have a look at our available tours on the website, or tailor-make a private tour. Please check your email for more details on Phuket shore trips. We are a group of 9 passengers (6 adults and 3 children – 11, 9 and 5) who will be disembarking in Phuket on 6 Dec onboard cruise ship, Mariner of the Sea at about 9 to 10am. We would like to book transportation to bring us sightseeing around Phuket city, Buddha temple, cashew factory, eat some local food and do some shopping. Please advise what are the itineraries available, the availability of transport on 6 Dec and the estimated cost of booking. Thank you for your request. Please check your email for the detailed reply, and kindly let us know if you have any further questions. Thanks for letting us know about your traveling plan. 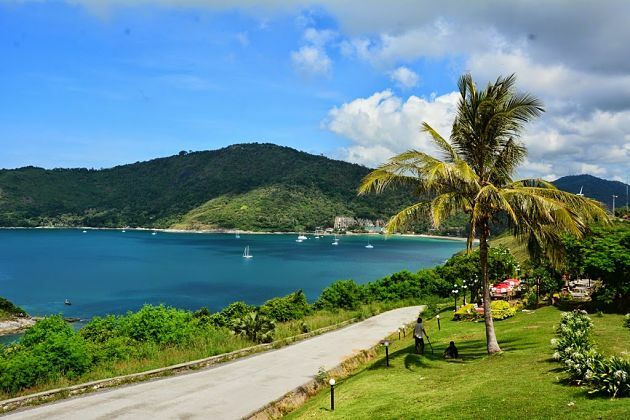 Please check your email for the detailed quotation on this Phuket shore excursion. Thanks for your comment. Please check your email for the detailed quotation and itinerary on the suggested Penang, Langkawi, and Phuket shore excursions. I am a single cruise passenger due to arrive in Phuket on MS Maasdam at 8:00am on 30th January 2019, departing 11:00pm. Please quote me for a private half-day tour to include collection from disembarkation point, visits to Karon View Point, Kokchang Elephant Safari , Promthep Cape and Wat Chalong Temple, and return to embarkation point, but without lunch. Please check your email for the suggested itinerary and detailed quotation on Phuket shore excursion. Can you please quote best prices Phuket site seeing day tour to include all expenses ? Thanks for reaching to us. The price per pax is cheaper if more people join the group. Please check your email for the detailed quotation on this Phuket shore excursion. Hi, pls quote for Phuket day tour for 2 adults 2 children. Ship arrive Phuket on Dec 7, [email protected] 8am and depart on 10pm. Thank you. Thanks for your request on Phuket shore excursions. Please check your email for the detailed quotation and contact us for any further question. Always be considered as a paradise in Earth with stunning white-sand beaches, beautiful lines of coconut trees, and crystal-clear sea water, Phuket is definitely a dreamland for anyone who wants to escape from the busy life to soak in the wonderful atmosphere of this lively city. Besides, Phuket has more than just beaches. 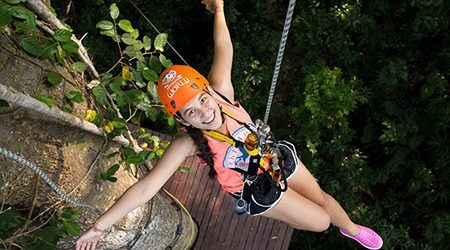 Below is the list of attractions in Phuket shore excursions that not everyone has ever heard before. Phang Nga Bay is a popular spot for tourists hopping on Phuket shore excursions and day tours. Take a small boat from the fishing village near Phuket to catch a wonderful experience tasting the impressive views of the Bay. A Phuket day trip to the bay can include various destinations and activities. 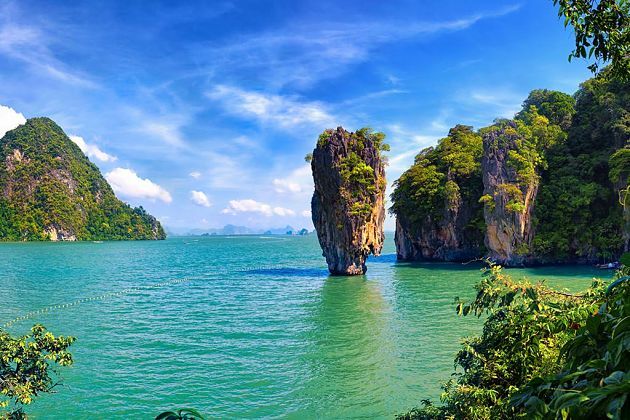 Phang Nga Bay is full of small islands such as Khai Island, Khai Nok Island, and Koh Yao Island, and also mysterious caves that can be easily approached by speedboats. Soak in the clear water of the Bay, go snorkeling to explore the undersea ecosystem, or hop on a canoe to go along the mangrove forests. Go through small lakes leading to the endless blue sky and wonderful scattered formations of rock. 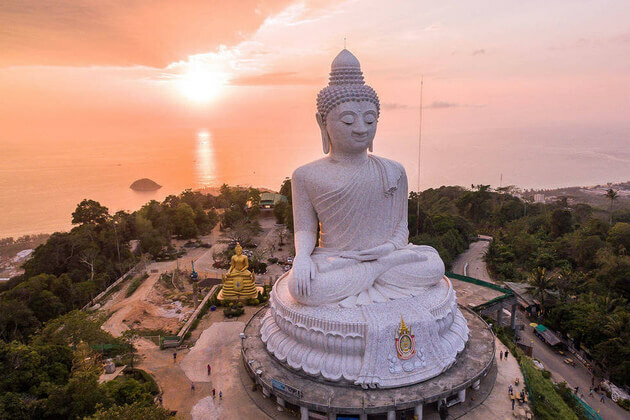 Standing on the top of Nakerd Hills, the giant-sized Big Buddha Statue is one of the most sacred and revered landmarks in Phuket shore excursions that can be seen from anywhere in the southern Phuket. Once reaching the top of the hill, you will hear the symphony of tiny bells and peaceful dharma music as the background. Admire lines after lines of typical yellow Buddhist flags everywhere you go. Take a deep breath, relax in the peaceful atmosphere, stroll around while admiring the wonderful white marble statue. 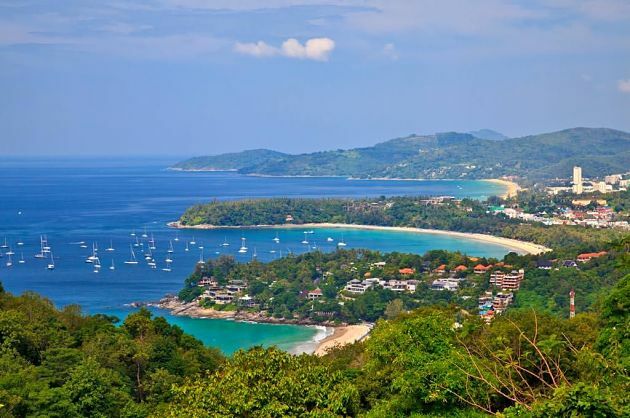 Standing on the top of the hill to catch the panoramic view of Phuket Town, Karon beaches, Kata, Chalong Bay and so on. Be considered as one of the most popular places in the Pearl of Andaman, the Old Town included in Phuket day tours from cruise ship provides numerous wonderful experiences for anyone coming to it. The area is lined up with various shrines and temples, magnificence shop houses, luxury bars, and scrumptious restaurants. Right to the name, the Old Phuket all gather here. Scattered grandiose mansions along the streets will mark your trip with many ideal spots to capture beautiful photos and get a glimpse at Phuket’s past. 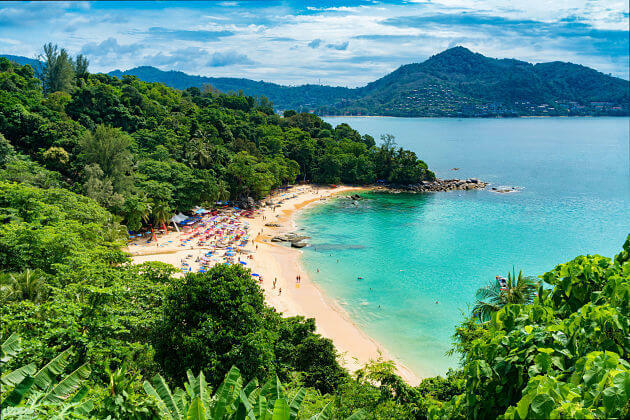 Phuket shore excursions are famous for the fantastic sights, so it is a waste not to include a visit to the Karon Viewpoint, or Kata Viewpoint called by locals. Standing on the jungle road connecting Rawai and Kata, the viewpoint is popular with not only foreigners but also Thailand people. Once reached the spot, you can have the spectacular panoramic view of Kata Noi, Kata, and Karon Beach, as well as the Andaman Sea and many islands far away. The viewpoint provides the chance to catch splendor images of the islands with azure water, white surf beaches, and deep-green hues. An interesting attraction in Phuket day tours but is not too famous that not every know is Promthep Cape – the rocky headland landing on the south of Phuket. The thing that attracts visitors to come here is the spectacular view it offers, especially the wonderful sunset at the peak. The view admiring from the Promthep Cape is sparkling with the endless blue pool looked like heaven on Earth. Another highlight of the cape is the lighthouse home to a priceless collection of various ancient maritime relics. In Thailand shore excursions, Chalong Temple is considered as one of the most significant religious sites in the whole country revealing the charisma culture of Buddhism in Thailand. 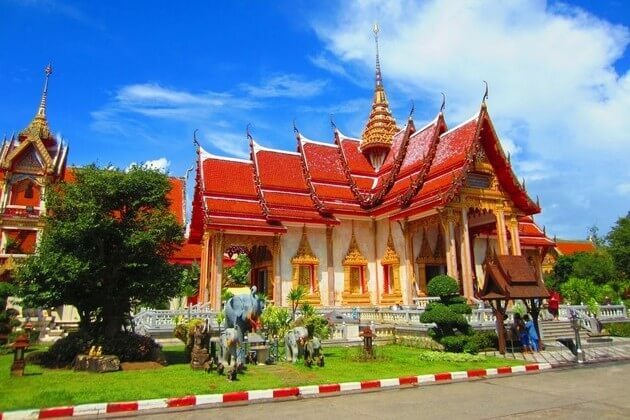 Among 29 temples seen in Phuket day tours from cruise port, Wat Chalong is the most popular one that is visited by both Thailand people and foreigners every year. In the early 19th century, this temple served as an important meditation center for Phuket people. The highlight of Wat Chalong is the priceless statue named Poh Than Jao Wat. 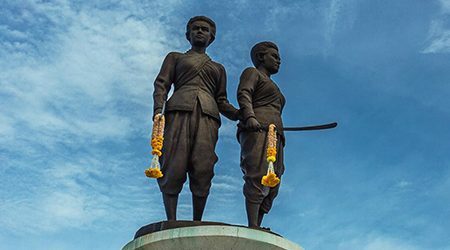 The old hall is the place where the statue standing with two others of Ta Khee-lek – a renowned local. Listening to the story about the history of the temple to learn about the features of Thailand Buddhism. Asia Shore Excursions really want to recommend the Thavorn Museum for any Phuket shore excursion and day tour from cruise port. Located in the heart of Phuket Town, Thavorn Museum is a part of Thavorn Heritage Hotel - the first hotel and also the first 5-stars one in Phuket. 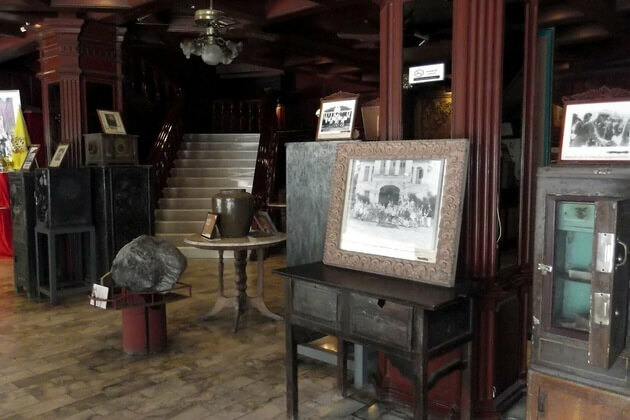 Thavorn Museum is home to a variety of ancient items such as the old photos of Phuket Old Town and Thailand, many antiques and sculptures, the old toy trains, movie posters and so on. The highlight that can make you breathtaking is a display of swords. People believe that these swords were used in 1785 during the period of Lady Mook and Lady Chan expelled the Burmese invaders away from Phuket. 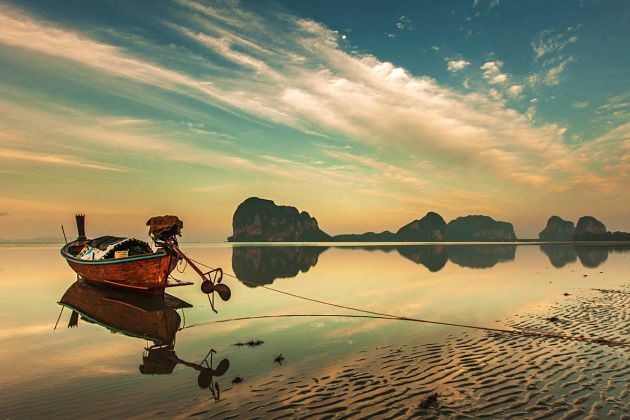 Known as a traditional Buddhism country, Thailand is also affected by other cultures. 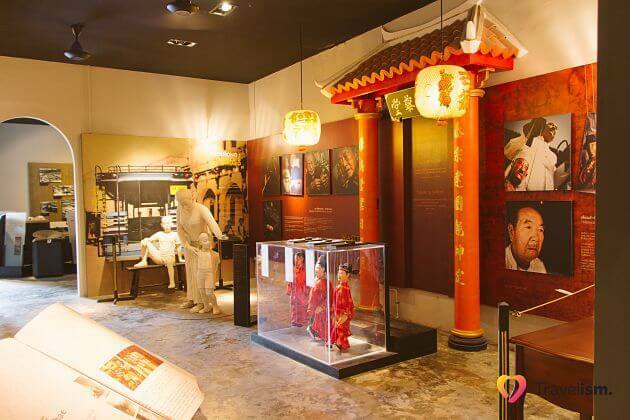 Get a completely new experience to Thai Hua Museum which has the architecture of ancient China. The Museum is considered as one of the most majestic Sino-Portuguese architecture styles that you can see in Phuket shore excursions. Formerly was a school teaching Chinese language in 1934, nowadays, it transformed into a museum serving as a function hall and a large exhibition space for some important occasions. Visiting this museum, you will immediately be mesmerizing by the spectacular architecture style with the ornate decorations. Phuket now is become an attractive destination, thus weather in Phuket has often been a burning topic, particularly between June and November which fall in the raining season. Most frequent inquiries will obviously be related to “What is the best time to visit Phuket?”, or “How is the weather in Phuket?” The island of Phuket is laid in a tropical region and it is warm all year round, therefore, the weather in Phuket ranges from “not too hot” to “too hot”, but the locals and residents here will deem the Phuket weather to be “extreme cold” when the temperature gets close to 20 degrees. Hence, no matter which month your itinerary is on, it is always warm and the sea is always like putting into a bath. In other words, the good weather in Phuket is possible at any time of year, which can provide tourists with a wonderful tropical vacation. The following information Phuket shore excursions support will help you to decide the time to visit Phuket. The coolest and allegedly the best time to visit Phuket, Thailand is between December to March since the weather in Phuket at this time is so perfect for many outdoor activities. Tourists can revel in the ideal weather in Phuket with the high blue sky, turquoise calm seas, and a cordial permanent breeze. This time is on the peak season, therefore it is expected to pay much more for accommodation, especially during Christmas and New Year time also. However, we believe that if you really cherish the blue sky and seductive beaches, this time is when you should come to Phuket. Because it is on the peak-off season, which leads to the fact that it does get crowded. In case of worrying about the crowds, tourists from Phuket day tours can stay in the northern part of the island, which lies in past Bangtao Beach. In Phuket, the hottest months are April and May. In these months, the temperature can reach 40˙C, and in this time the Thailand people are celebrating the end of the hot season by splashing themselves crazily with water, we call this celebration is Songkran Festival. This festival can last 3 days or even more, which depends on which part of Thai land you are staying. The hottest time of a year and also be the month of the traditional Songkran water festival celebrating the beginning of the new year in Thailand and involving everyone dousing each other with water. Many visitors flock to Phuket to take part in the celebrations, which means that early bookings for both flights and hotels are prudent. When visiting Phuket in April, tourists get a good chance of many sunny days and joining in the water-throwing Songkran. In these celebrating Songkran days, you can visit the bars in Patong where do huge business, which can help you relax the best. May is the beginning of the low season in Phuket, when the rainfall increases dramatically, which makes May become one of the wettest times of year though decent periods of sunshine can happen between the often short showers. Though the average temperature drops too slightly its offset by a rise in humidity. The Phuket weather in May will be fairer in the early days of a month. Although these inconveniences caused by the Phuket weather, we cannot deny that this time is also the best time to undergo Phuket shore excursion. In May, when the high season passes over, these crowds disappear creating a much more relaxing atmosphere in Phuket and of-course on the main beaches. If you are confused that whether you can experience the funny nightlife in Phuket or not, which isn’t necessary because the nightlife spots in Phuket are quite scurry. The rainy season in Phuket is a problematic subject when it is presumed to occur roughly at the same time each year, but recently it has become seriously unpredictable. June to August is a series of day mixing of rain and sun, usually quite enjoyable. In this category, September is the wettest month of the year with a high humidity, which is hard to visit Phuket. Besides September, October and November also seem definite the quite wet months. In spite of the unlucky arrays of really rainy days, there stands a plenty of sunshine with sporadic showers. On the good side, expenses in these months are much cheaper than others. If tourists from Phuket day tours keen on nightlife experiences, this time is ideal for your Phuket shore excursions.